As we have gotten older and our children have gone on to college and subsequently moved on to big people jobs, our life together has changed a lot. We’ve taken some great vacations, gone to Lollapalooza (IKR!!! ), and started working out every day, to name a few of the changes. But the best thing we have gifted ourselves with is our hot tub. Our weekends are just such a treat. We get up early, work out for an hour in our fitness room (formerly our son’s room), and then have coffee in the hot tub. Come rain or shine, we are in that hot tub. 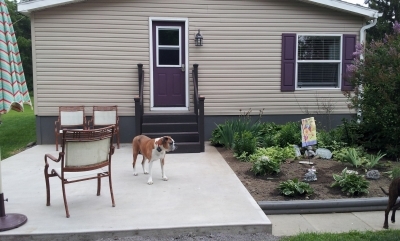 We had a concrete patio put in by the same terrific gentleman who painted our house. 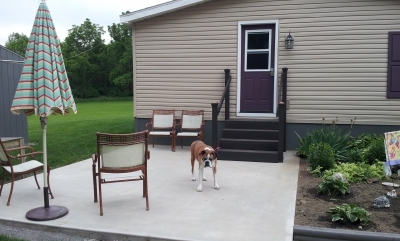 We love the patio and it was really a great addition to our living space. 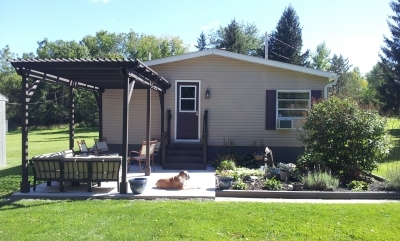 Once he put the patio in and built new steps to replace the ones we built 20 years earlier (that were still quite wonderful but if we were getting a new patio, we wanted new steps), we planned to build a large, double pergola to cover the hot tub we intended to buy and a nice outdoor furniture set. This took us several weekends to build and a few breaks for thoughtful alterations to our plan. 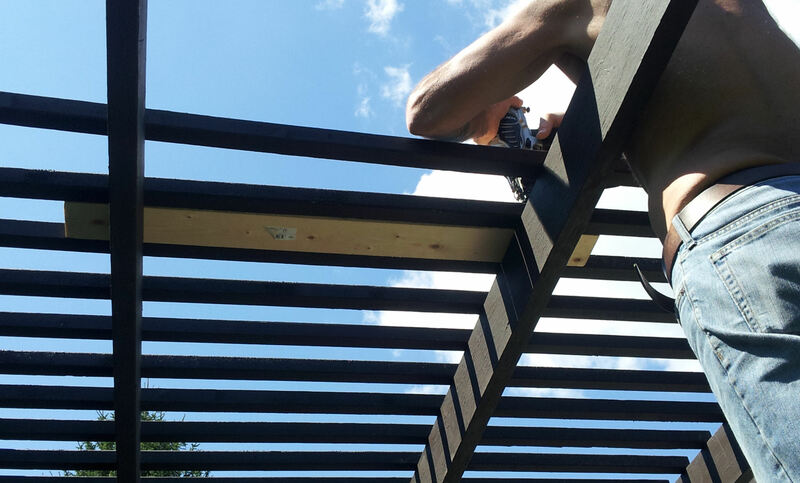 I’ve included a gallery from the patio install through the pergola building. 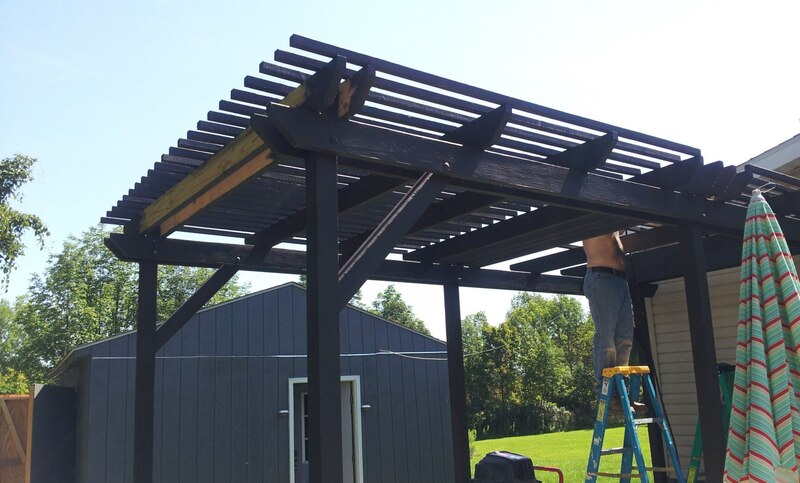 Since we live in the tundra of Upstate New York, we needed to enclose that pergola in order to make the hot tub usable for the Winter months. 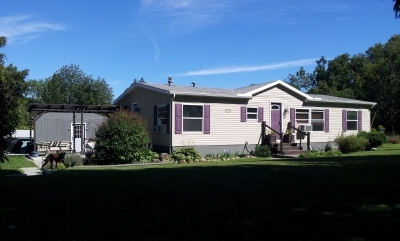 Damn right…we were not going to give up our hot tub just because of some wimpy old sub-zero temps and 2 feet of snow! We’re northerners after all! 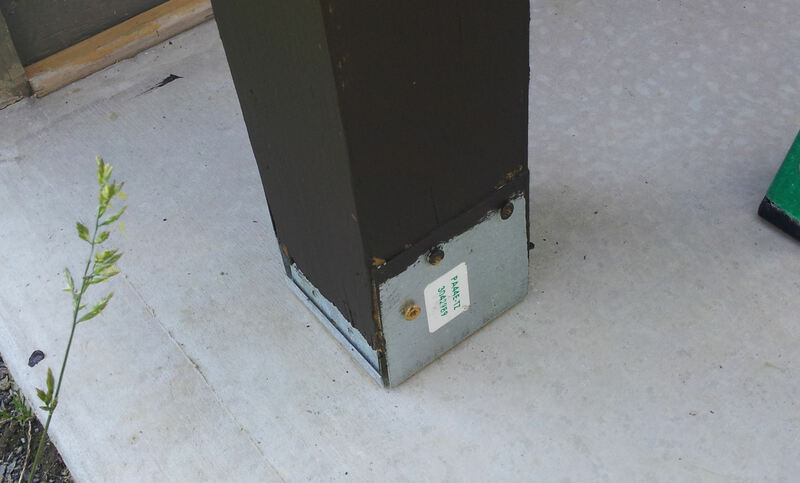 So, I will post another piece about the enclosure we made once I get a chance. We pretty much made up this plan on our own using any number of plans we found on the Internet. This was a year and a half ago so there are probably even more great plans out there now than there were when we built this. 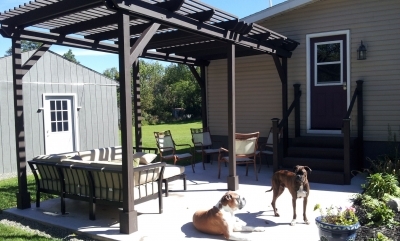 We have really loved the pergola and highly recommend having one. The patio was only $1200 to put in and that included the steps. We’re really happy with it and consider it money well spent. 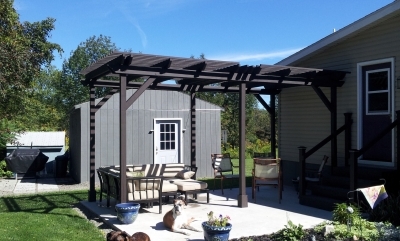 The pergola cost less than $300 to build. The stain is Behr Deck Over from Home Depot. This stuff is SO thick, we used 3 cans of it on the pergola. But, it shouldn’t need to be coated again for several years. 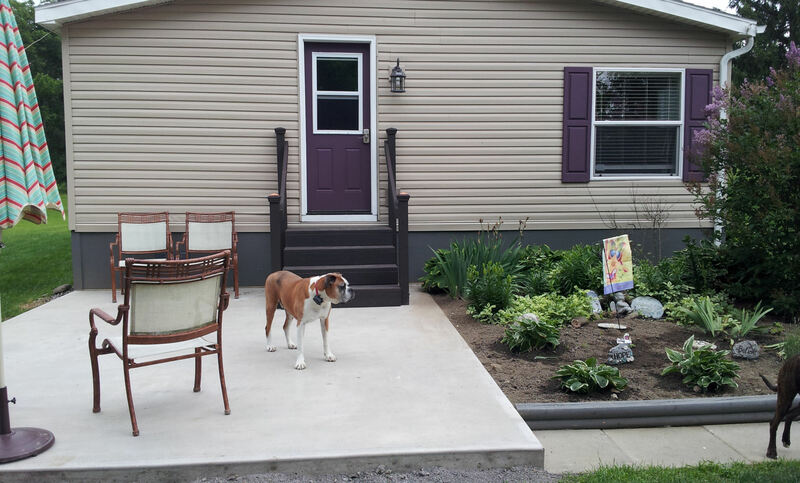 We love Deck Over and use it on our front and back steps as well. It’s great cover, as long as you make sure the wood is dry enough to stain. 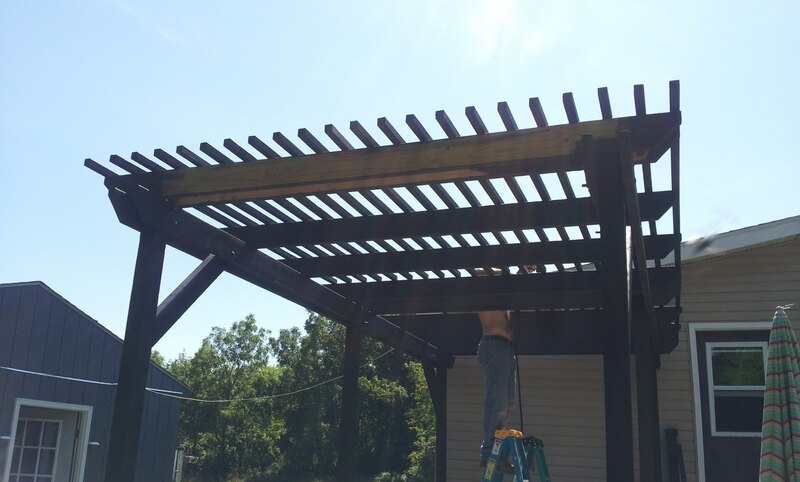 If you use pressure treated wood (which is now infused under high pressure with salt water), you may want to wait for a full Summer before staining in order to give the wood time to dry out before staining. 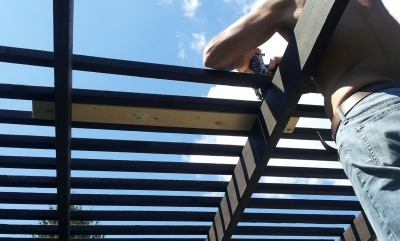 We also covered the roof with a tinted corrugated plastic we found at Lowes in order to keep the rain out when we are in the hot tub (although right now it is snow!). Mr.McGee would also like you to know that since these pictures were taken, he has begun a fitness regimen of working out every day for an hour and now has a 6 pack where his love handles once were. :-) If you click on the “FS” in the gallery below, you can view the images in full screen. Are you dreaming of expanding your living space to the outdoors? We’d love to hear how you have done it, plan to do it, or would love to do it! Please share in the comment section below. Our pergola project covers our concrete patio and houses our hot tub and outdoor furniture, expanding our living space to the outdoors. 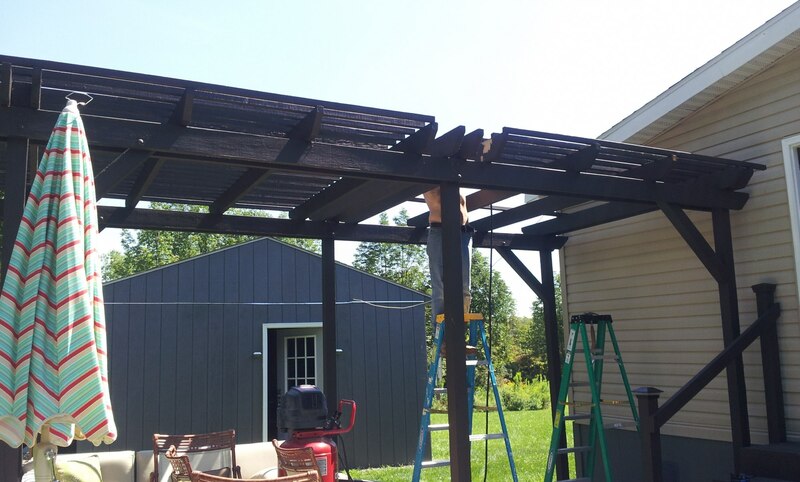 Long view of pergola frame. 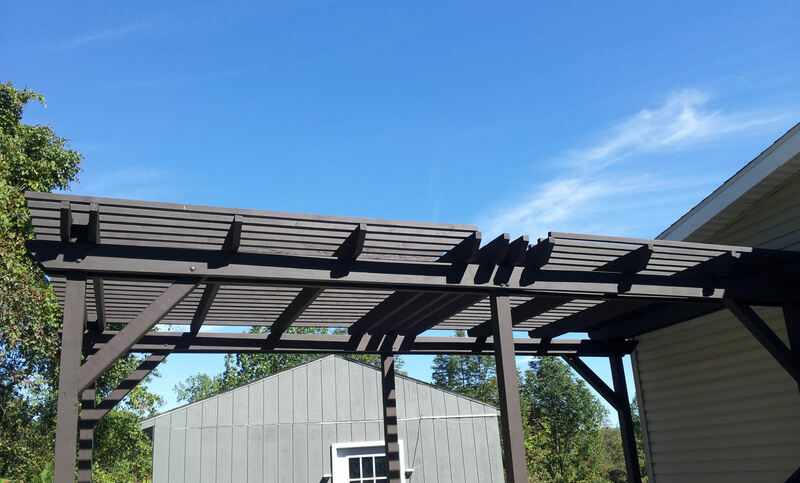 More spacing of roof slats. Rear view of pergola frame. 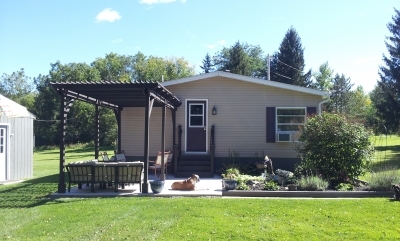 Front view of patio and pergola. 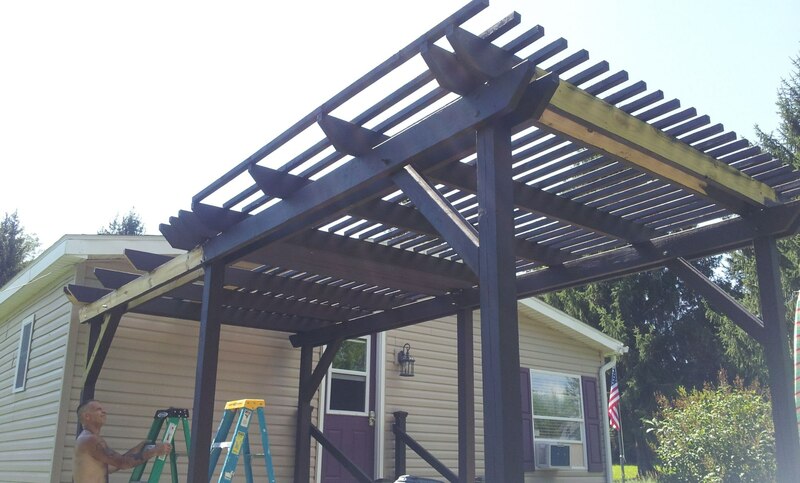 One section of pergola top. View of garden, patio, and pergola from side yard. 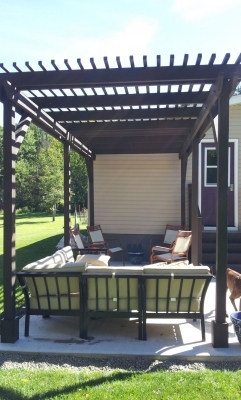 Side view of pergola and patio. 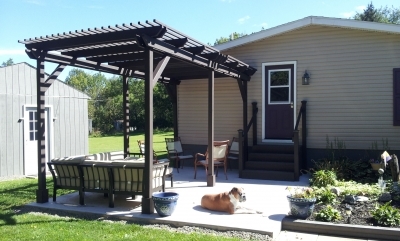 Wide view of pergola and patio garden. 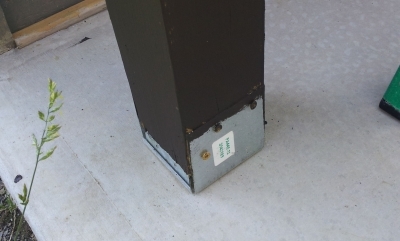 Bracket used to attach pergola posts to concrete. Front view of unfinished pergola. That looks great! Really inspired me to start working on my own project outside of my home. Pergola's are perfect for those hot summer days to help block the sun out but still allow in some sunshine! Here in AZ we live in "the Valley of the Sun" and so snow isn't a problem. 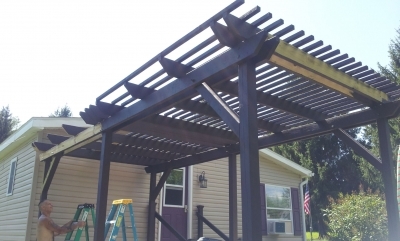 We are looking at shallow pergolas over our west facing front room windows to cut the intense sun, and provide a lattice for climbing jasmine or something. Your pergola looks great! Thanks, Sue! We love the pergola and spend so much time there. It's a great expansion of our living space. 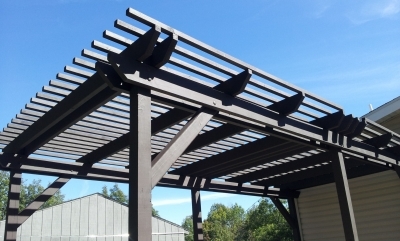 A pergola would be a terrific idea for shading. 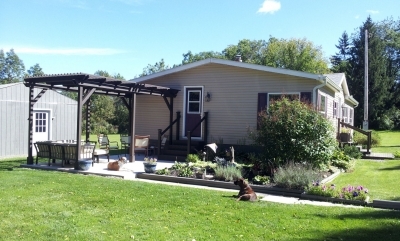 I've wanted to grow a vine on ours but I'm afraid I'd have to trim the dead stuff off each year and we already have so many gardens that require Spring work that I can't bear to add more. If you do put one up, we'd love to see it. Visit our facebook page and share some pics! Looks very nice. Just came across your blog and looking forward to reading more as we are about to start another renovation. Welcome Julie! Thank you for visiting and commenting. I hope you find some useful information here. Good luck with your renovation. They don't seem to ever end, don they? Very nice … perfect place to relax!